The sellers of this house will need to hear an offer they can’t refuse. 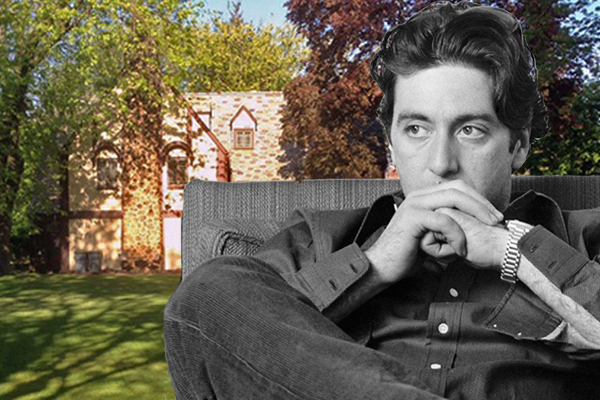 The Staten Island home at 120 Longfellow Avenue, which famously served as Michael Corleone’s home in “The Godfather,” is up for sale, according to the New York Post. The four-bedroom property is asking $1.37 million. Owners Elaine and Peter Albert have lived in the home since 1977, when they bought it for $195,000. Its connection to Hollywood was not related to their decision to buy, the couple told the Post. They were instead attracted to how beautiful the block was. The character Carlo Rizzi, played by Gianni Russo, was killed in front of the house in the film, getting strangled in the front seat of a car. Russo told the Post the actors also used the property as a dressing room and a place to relax.